Class C RVs are middle in size between coaches (Class A) and campervans (Class B). They mostly look like campervans but with larger cab, overhead design and overall space. Class Cs are about 21 to 35 feet in length and can weigh between 10,000 to 15,000 lbs. They have an expansive living space that can comfortably accommodate 4 to 8 people. These types of motorhomes are built upon a truck, pickup or van chassis. Class C RVs utilize the cutaway chassis design; the first manufacturer builds the base and cab, then the RV manufacturer makes the rest of the body including a cab-over space that can be used as an entertainment section, storage space or sleeping quarter. Class C motorhomes contain most of the amenities and features in a coach with space limitation being the only difference. In general, you can expect the following from Class C motorhomes; a full and separate bathroom, convertible dinette, full kitchen, sitting room, queen/king size beds and awning among other amenities. Slide-outs are also a common feature in these types of motorhomes as they help expand the sitting or bedroom space. Unlike campervans that use a wet-bath style, these motorhomes will have a separate bathroom. It is also quite common for most models to have glass-enclosed shower cubicles with overhead skylights for that extra value. However, the bathroom is still smaller in size as compared to those in Class A motorhomes. The sleeping quarters in Class C motorhomes include the cab-over area, the back of the RV, side bunks and optional folding sofas, pullout/fold-out beds or convertible dinettes. For your storage needs, there are many cabinets, drawers as well as an external storage bay. Gasoline or Diesel engine options, and propane in some rare cases. Front-wheel drive and four wheel drive capabilities in most models. Automatic levelling jacks and stabilizers. Towing ability; Class C motorhomes can easily tow a smaller vehicle or trailer. Accommodates four to eight people thanks to the huge living and sleeping space. These motorhomes are mostly mass-produced unlike campervans, which may originate from van conversions. This means you have many models and floor plans of each to pick from not forgetting the readily available repair parts. There are also many price points for various Class Cs, guaranteed to fit pretty much any budget. When working with a tight budget, buying used or renting the RV is usually the best way to go. Advantages of going for a used Class C RV include; affordability, crucial repairs have already been done, lower related costs such as insurance, licenses, tolls and registration, and also relatively lower rate of depreciation. 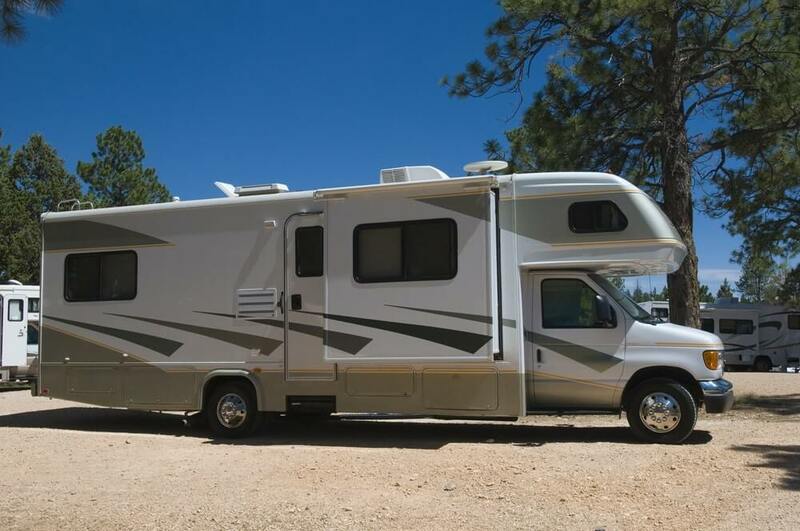 The downside of buying a used Class C RV may include; few floor plan or upgrade options, no manufacturer warranty, poor fuel-efficiency and sellers may not fully disclose all underlying issues. Renting an RV can also give you a good idea as to whether you prefer the given RV, plus you get shielded from costs such as storage fees, repair and maintenance costs and so on. However, if you aim to use the motorhome for longer periods, it makes more economic sense to fully own the vehicle. If you have the money, buying a new RV can provide the best motorhome experience in addition to being covered by the manufacturer warranty. However, it is expected that with new motorhomes, the depreciation rate is more unforgiving, crucial repairs will need to be done and also the related running costs can be a bit high. Diesel powered Class Cs are usually costlier than gasoline ones due to difference in build quality and fuel efficiency. Diesel provides more energy and thus allows for better mileage, towing ability and improved uphill acceleration. On the other hand gasoline powered motorhomes are cheaper to buy and maintain, but will burn more fuel going uphill and may not be ideal for towing purposes. Fuel economy and extended engine life is the forte of diesel powered engines thus making them ideal for the intensive fulltime RVing lifestyle. A gasoline Class C may be ideal for short trips like family vacations and the like. Class Cs are available in varying lengths starting from 21 feet and all the way up to 40 feet. A longer motorhome provides more space for amenities, features and living space. However, the length of the motorhome may limit access to several parking spots, national parks or campsites. The average length limit for most state parks and campgrounds is 35 feet. Rising Sun Campgrounds for instance has a length limit of up to 25 feet for ten of its campsites. RV storage facilities help free up parking space in your home lot as well as in your neighborhood. RV storage costs depend on the length of the vehicle; a longer one will attract higher storage fees. Ensure you pick a suitable RV storage facility, especially one with a concrete floor and covers to protect the RV from sun rays and rain. The flooring of the RV should be insulating, easy to maintain, water-resistant, durable and also visually appealing. Available options include vinyl, carpet, laminate, ceramic and hardwood floorings. Carpet floorings are easiest to replace but are very hard to clean or keep moisture-free. Vinyl floors are a favorite for many as they are waterproof, durable and low-maintenance. In general, RVs have three options when it comes to roofing; rubber, fiberglass and aluminum. Most common roofing for Class Cs is the EPDM–Ethylene Propylene Diene Monomer, and the TPO–Thermoplastic Polyolefin rubber roof. The rubber roof is the most cost-effective option you will get in the market, but be sure to regularly check on the roof vents for any water leakages. Fiberglass and aluminum roofing options are a bit rare and will considerably add more weight and cost to the motorhome. Air conditioners consume a lot of energy even though they are a must-have in any RV. Class Cs have their ACs installed on the roof, so make sure the surrounding cover is in good condition before purchasing the RV. A high energy-star rating on the AC and on other included appliances is an indicator that energy consumption will be fairly low. Safety is also a key concern for your soon-to-be home on wheels. Go for a model with driver and passenger seat airbags and seat belts for all passengers onboard, even if they are lap belts. If you have a baby, a tether within the sofa or dinette is ideal for hooking up the car seat in place. While having the very best of amenities and features straight from the RV manufacturer is recommended, you can still upgrade your RV and tweak it to your taste with time. Some common upgrades RVers do down the road include; getting new storage bay locks, installing a better propane regulator, LED lighting for the interior and exterior, upgrading the inverter and increasing the battery capacity to power more appliances and devices. Testing the RV on rough roads before purchase will help you gauge the effectiveness of the vehicle's suspension and overall smoothness of the ride. Usually, larger wheels and tires provide more grip when hard-braking, improve traction during acceleration, ensure lesser rolls when taking corners and allow for a more low-profile look. Always check with the manufacturer on the manufacturer's suggested retail price (MSRP) so as to figure out if the dealer is ripping you off. Class C motorhomes are very spacious as compared to campervans. They feature full kitchens with full-size refrigerators, microwaves, stovetops, pullout countertops and dining tables as well as cabinets for storage of cookware. Sleeping quarters are also in plenty so your guests need not worry about sleeping in. The back of the RV has the main bedroom with a queen- or king-size bed, then there are other sleeping options like side bunks for the kids, convertible dinettes, folding sofas and the cab-over sleeping compartment. The Class C motorhome uses slide-outs to expand the space even more (by 3 feet or more), all at the push of a button. Slide-outs give more sitting-room space, enough to have a sofa and still have some walking-around area. Most models use slide-outs for a spacious bedroom enough to fit a king/queen bed, wardrobe, drawers and a TV. If you feel like lounging outside, these motorhomes come with awnings for outdoor living space. The large space allows the RV to accommodate as many as eight people and sleep in just as many if you are creative enough. Class Cs have plenty of storage space so you can bring along a lot of stuff. There's a large external storage bay for storing suitcases, cleaning supplies, water hoses, electrical cords, repair tools, folding chairs and everything else that you don't use too often. You also get inbuilt shelves, drawers, and cabinets. And if you still need more space, Class C motorhomes can tow a trailer thanks to their high performance engines and installed connecting hitch. Make sure to check the specified weight limits of the RV before getting the trailer. Class C motorhomes can fit in most parking spaces especially those with lengths of below 25 feet. The size of the RV also makes it easy to drive and maneuver on the road. They are also less intimidating as compared to Class A motorhomes, since they are built on a van/truck chassis and cab. This is more familiar to most and thus requires less time to adjust or learn. The shift gear, gas and brake pedals are also placed in a familiar location. For additional driving support, you may get camera systems installed at the back of the RV and in side mirrors in most models. They are meant to help you when taking turns and backing up. Getting to the living space is easy thanks to the swivel captain chairs in most Class Cs. The over-head cab may also have a cutaway design so that you don't knock your head while walking into the living space. Additionally, the whole RV is one unit thus allowing free movement from the cockpit to the living space without getting out of the RV. The large windows allow for nice views of the surroundings and can be blocked easily with blinds or privacy curtains, all included in these motorized homes. Class C RV manufacturers install lit-up door handles and patio lights so you don't fumble with the doors at night. TVs in the exterior panel, bedroom and cab-over areas are also set on swivel arms for easy adjusting and tucking away when not in use. Lastly, getting in and out of the RV is a breeze with the three available entry/exit points that is the exterior door (leading to the sitting room), passenger and driver doors. Fuel economy is dependent on a number of factors namely type of fuel, the gross vehicle weight and aerodynamics among other factors. Class C motorhomes have a low-profile look as compared to coaches which leads to a better fuel mileage. This is in addition to the aerodynamically designed cab-over area. On average, Class C motorhomes will get you 7-11mpg. 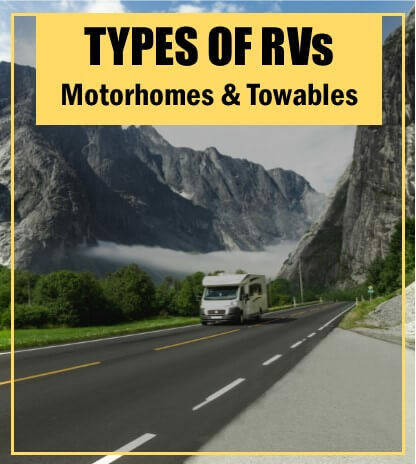 However, this will vary due to many factors that are not only unique to RVs. Overall, these motorhomes fair better than most if not all coaches when it comes to fuel economy. Class C motorhomes are well insulated against harsh weather conditions thanks to use of thick foam insulation in the floors, ceiling and walls. The materials making up the flooring and roofing are also a good protection against heat loss and water leakages. High-BTU Propane- and electric-heaters are also included in the RV for all your heating needs. Some models install the heating vents on walls and furniture instead of the floor to prevent any blockages and allow for quicker repair and maintenance of the same. They can impede the use of the restroom in most models; they tend to block the doorway to the restroom making it unusable unless you open the slides. Additionally, slide-outs are bound to normal wear and tear thus may fail to open or close over continued use. Some Class Cs do have a manual crank when the automatic functionality fails. 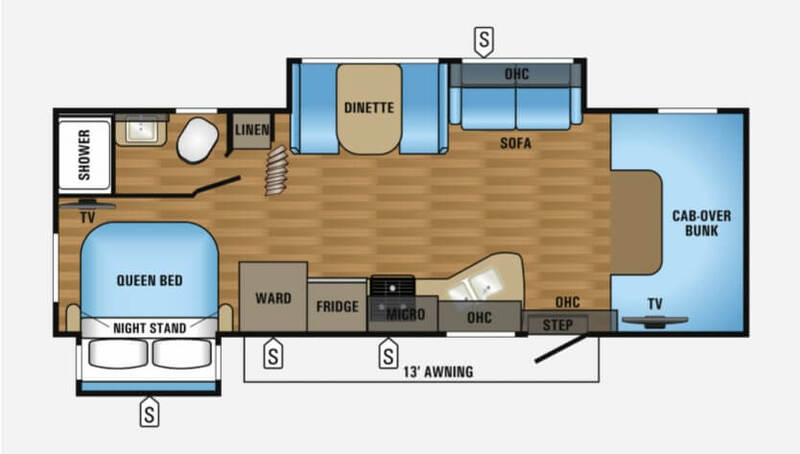 Class C motorhomes also rely heavily on slide-outs for a functional floor plan. This means you will be left with very little room to move around if you don't open the slide-outs or when in transit. Slide-outs are also notorious for causing water damage to your RV. A rubber strip is used on the slide-outs to keep water out. However, the strip may crack or dry up and cease to effectively waterproof your RV. Electrical lines and hoses may also be compromised due to the in-and-out motion of the slide outs. While it is true that Class C motorhomes cost way less than Class A RVs, the price is still very high and can actually get you a decent truck and spacious trailer. So if you are working with a tight budget then a Class C motorhome might not be the ideal choice for you. The fairly large size of a Class C RV is still not ideal for making quick daytrips and errands. Most likely, this would mean unhooking your vehicle or bringing your family along every time. Not all the Class Cs have enough towing capacity for a suitable smaller vehicle. Amenities and features are also limited due to lack of adequate space. Coaches and toterhomes are the epitome of a luxurious RVing lifestyle. Most gasoline motorhomes don't have enough towing capacity thus you may be forced to go for the more expensive diesel option. The hitch-rating indicates the towing capacity. Most Type C RVs can safely tow along a small vehicle or a trailer. Water may also leak into the front cab due to the cab-over design and large windshields. This leads to water damage of the RV and may cost quite a bit to repair. Lastly, motorhomes with rear beds tend to have a long rear overhang that causes excessive swings when going round winding roads. If you are looking for a motorhome that is not as big or as expensive as a Class-A RV and not as small as a campervan, then the Class C motorhome is the perfect pick for you. Every shortcoming that comes with having a campervan is addressed and surpassed by Class C motorhomes.